In a career that spans five decades and includes collaborations with some of the most iconic figures in modern jazz, NEA Jazz Master and Grammy Award winner Jack DeJohnette has established an unchallenged reputation as one of the greatest drummers in the history of the genre. 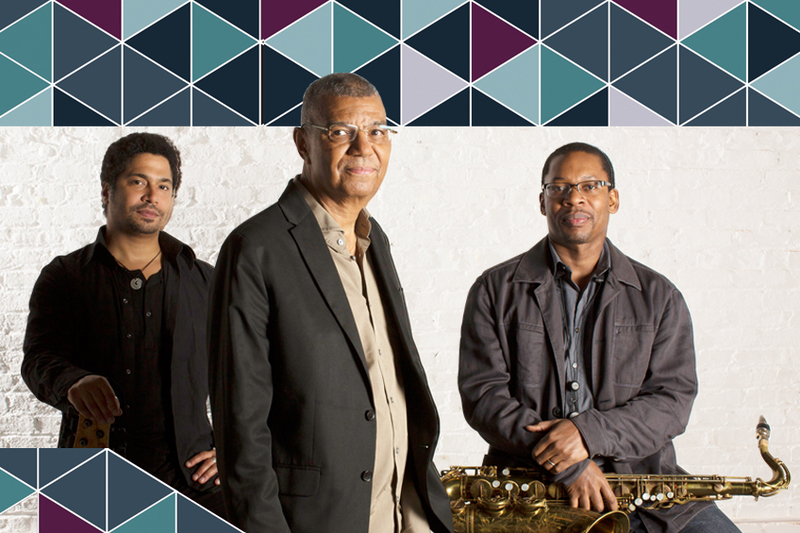 DeJohnette brings together saxophonist Ravi Coltrane (son of John) and bassist Matthew Garrison (son of Coltrane bassist Jimmy Garrison). Representing the prestigious lineage of today’s great jazz families, the Jack DeJohnette, Ravi Coltrane, Matthew Garrison Trio has received wide acclaim for their ECM recording, In Movement. This concert replaces the Dr. Lonnie Smith Trio. Dr. Lonnie Smith withdrew due to illness. We regret the inconvenience this may cause. Previously issued tickets for Dr. Lonnie Smith will be honored for this concert. If you have any questions please call 713-524-5050 or email boxoffice@dacamera.com. We suggest Lyric Garage, Alley Garage, One Market Square garage or Lyft (with a discount) as alternatives to the Theater District Garage. More info.